Barks and Blooms in the Top Five! 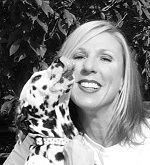 “Pet Sitters International (PSI) has selected its top-five finalists for the 2012Pet Sitter of the Year™ Award. First awarded by PSI in 1995, the Pet Sitter of the Year designation is the industry’s highest honor and recognizes true excellence for the in-home pet-care profession.”–from the announcement linked below. We are thrilled and delighted to let you all know that we have made the Top Five! The winner will be announced in January. Thank you to all of you who took the time to nominate us. Thank you also for allowing us to share in your lives and the lives of your sweet pets!